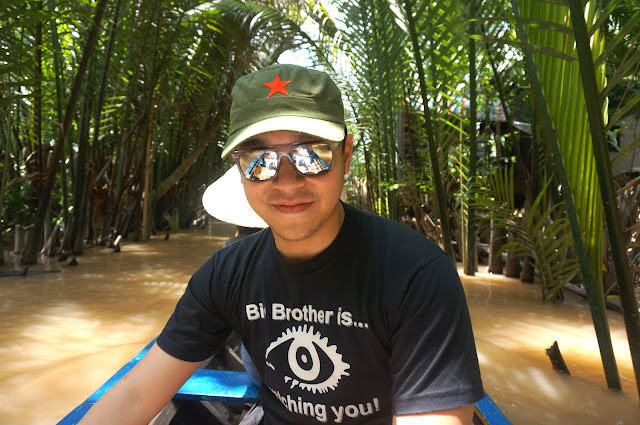 Mekong Delta was the place I didn't get to visit when I first went to Ho Chi Minh year 2012. 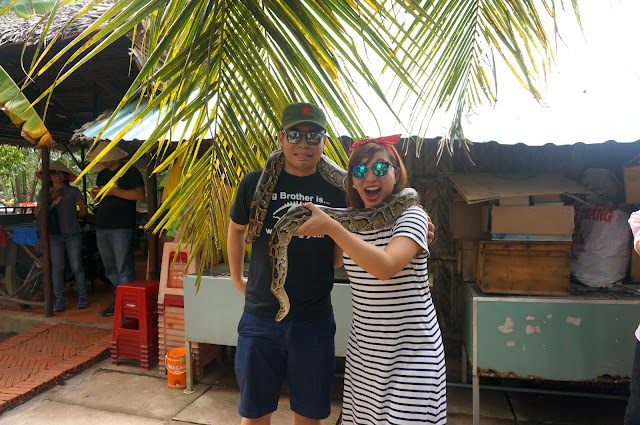 So at last, I finally did during my recent trip. 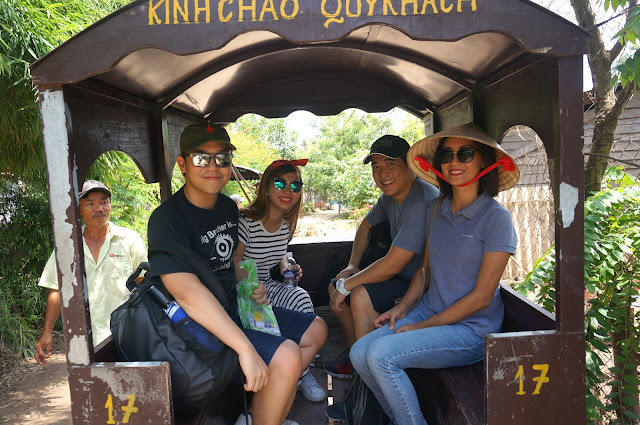 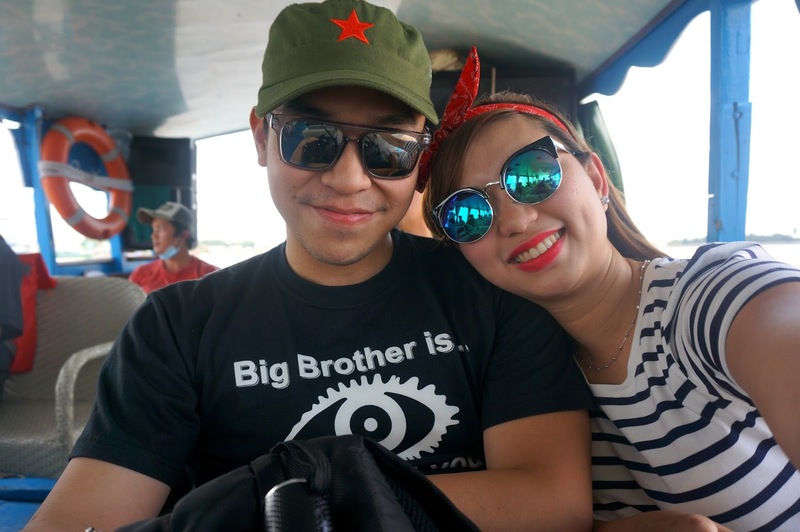 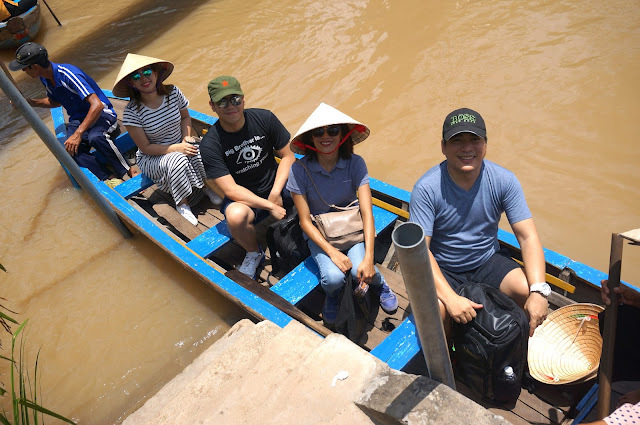 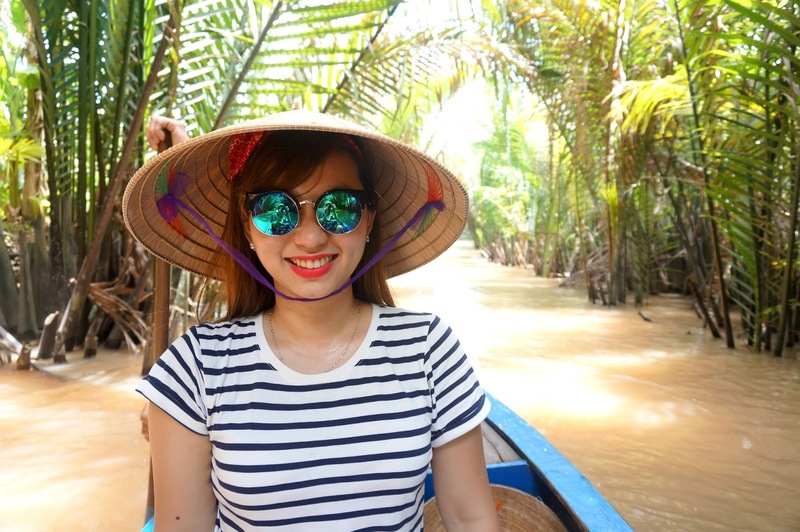 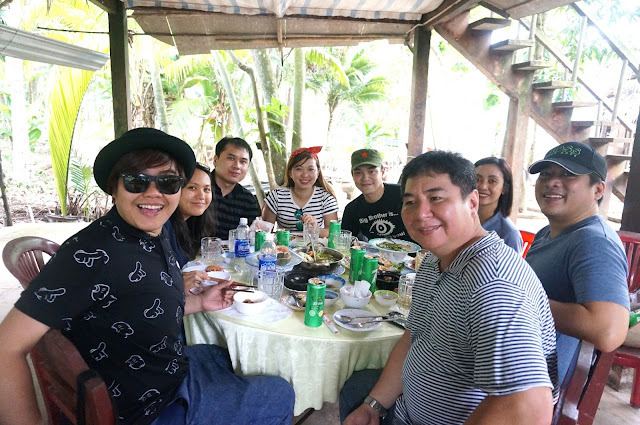 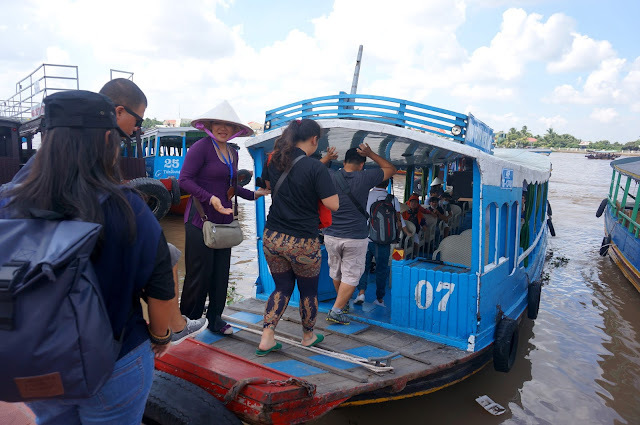 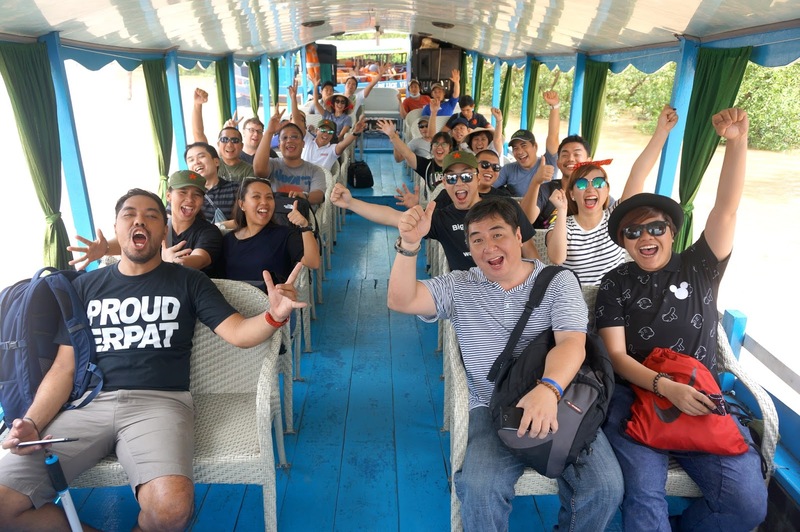 When I first heard of Mekong Delta tour, I thought that it was just a cruise along the small canals of the river but the tour had a lot more to offer. 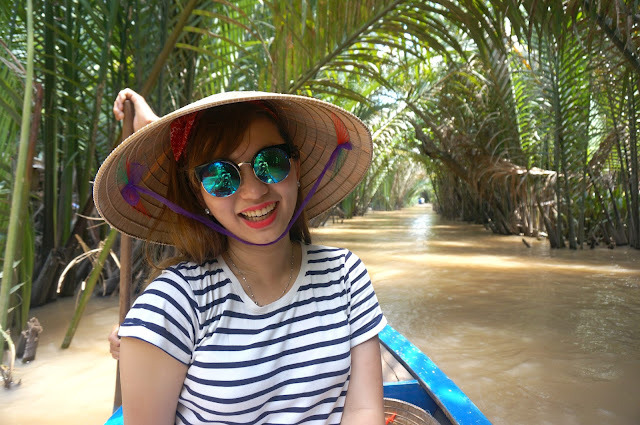 Mekong Delta is located at the southwest region of Vietnam. 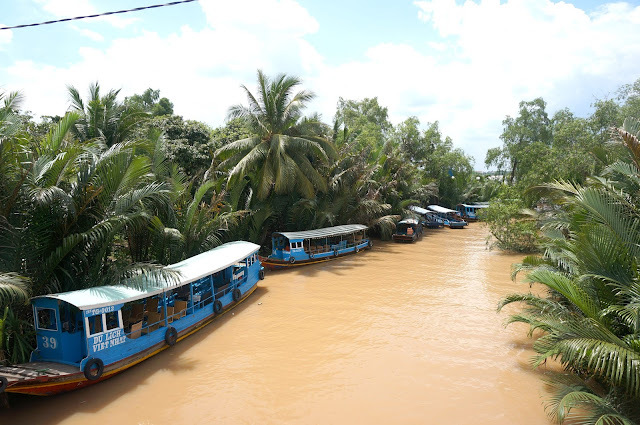 It is a vast maze of rivers and islands where boats are the main means of transportation. 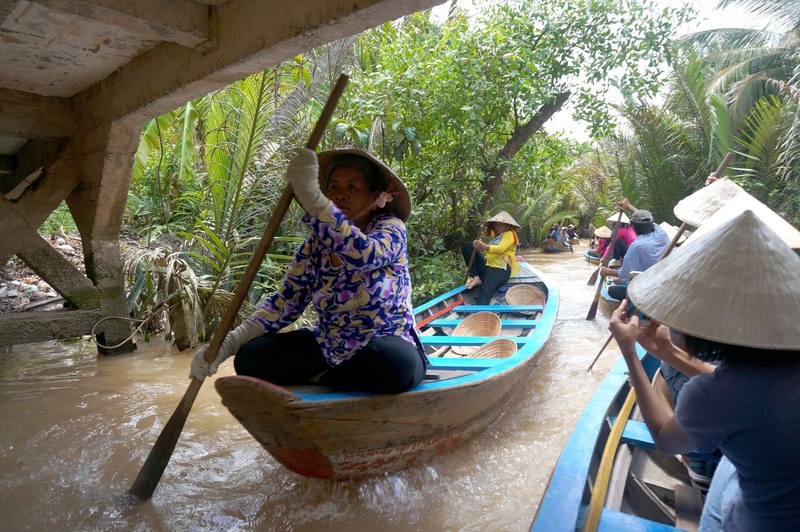 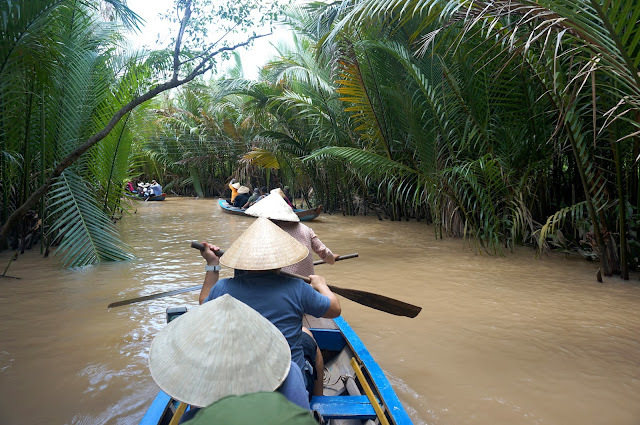 Mekong Delta is one of the main tourist attractions in Ho Chi Minh because of the sampan ride experience along the narrow canals just like what the locals do. 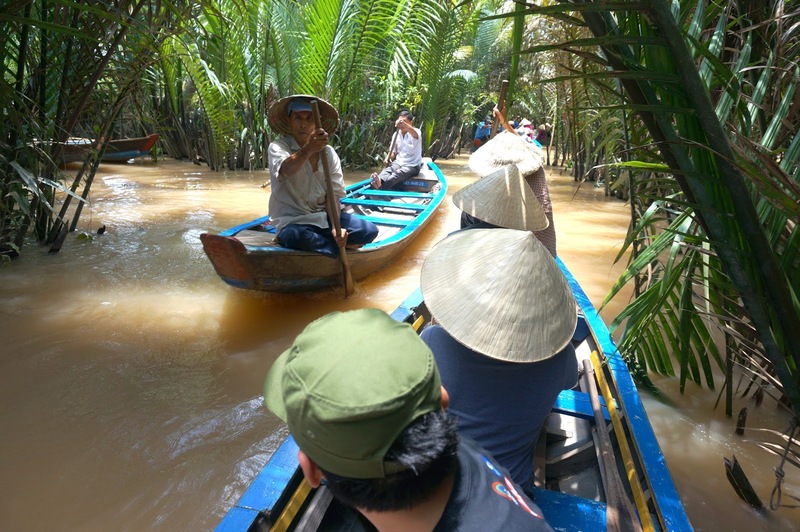 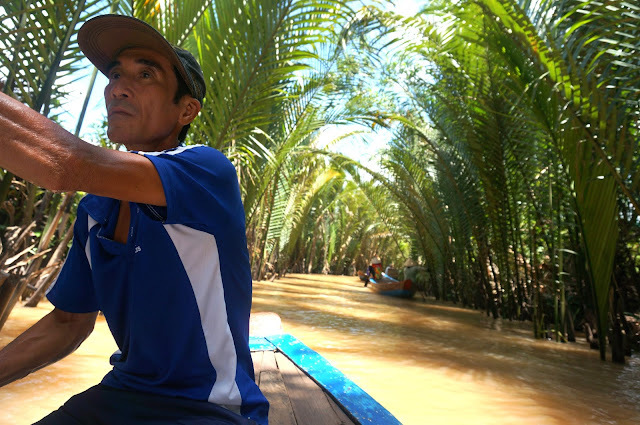 From Ho Chi Minh, the travel time to Mekong Delta is 2.5 - 3 hours, the tour duration takes up the whole day. 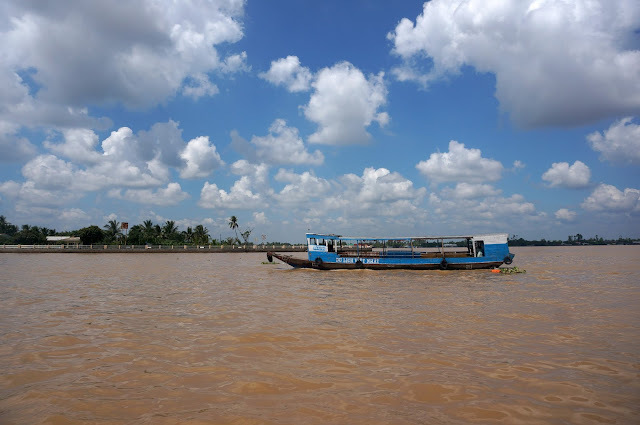 We traveled early in the morning from Ho Chi Minh going to My Tho where the port is located. 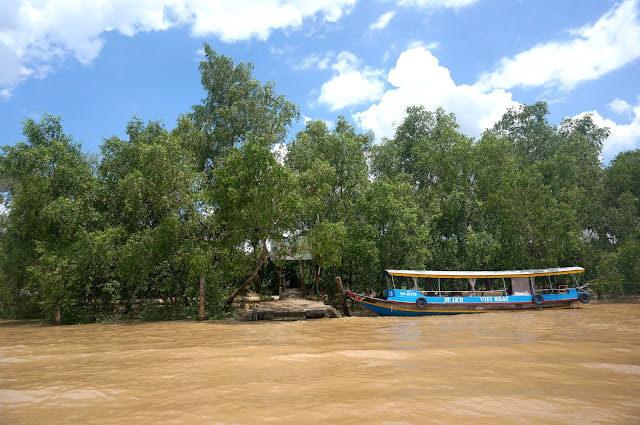 We then embarked on a boat then sailed to Unicorn Island. 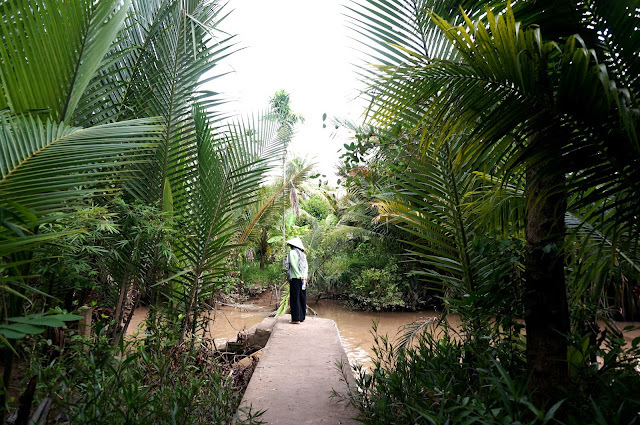 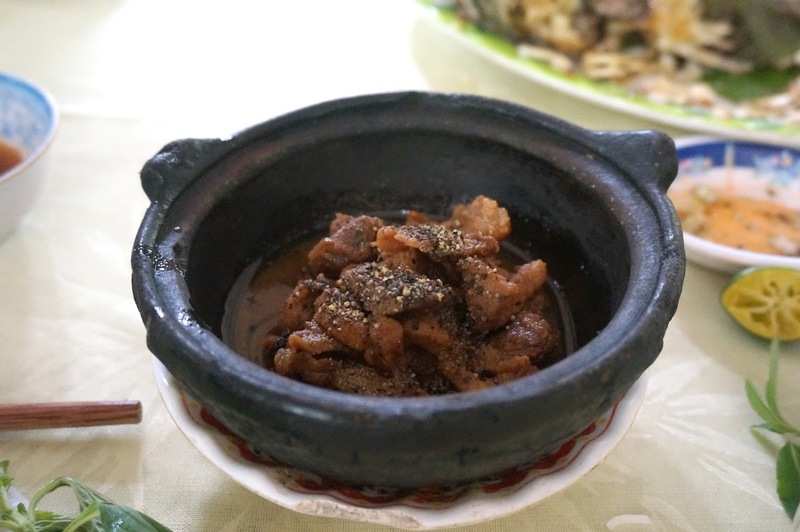 In Unicorn Island we were greeted by lush vegetation and all sorts of Vietnamese items for sale. 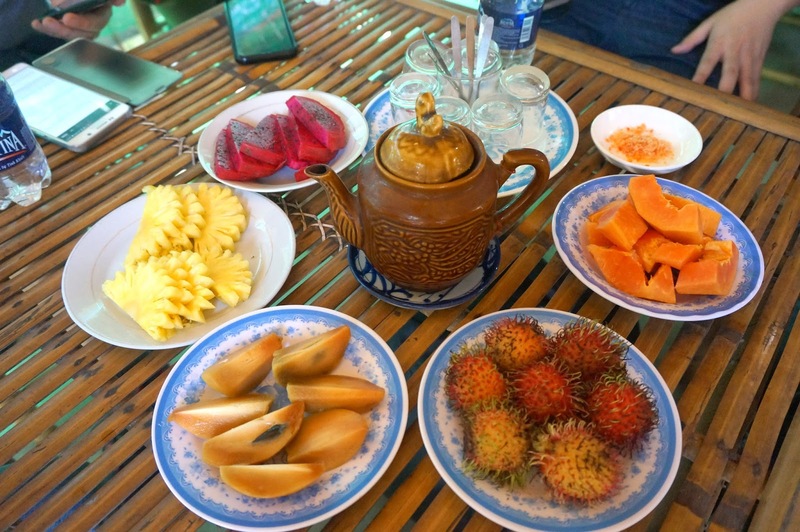 We then stopped by for a tropical fruit tasting while a local girl in traditional costume serenaded us with a Vietnamese song. 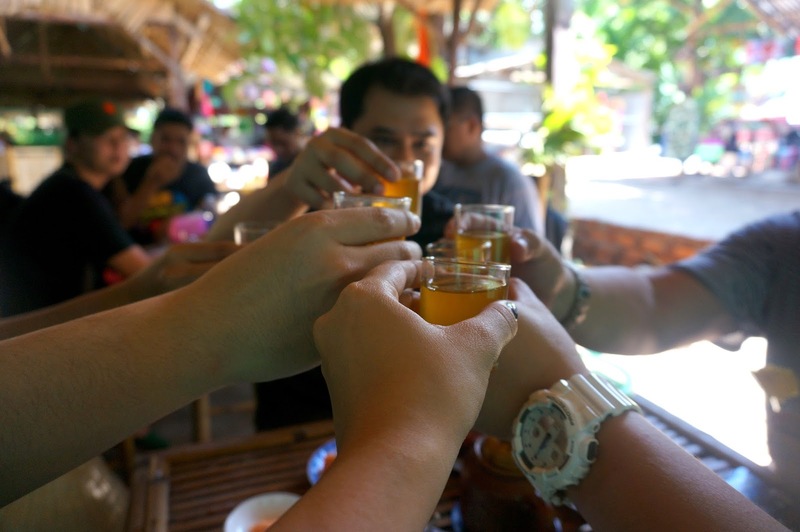 After tasting all the different fruits, we excitedly braved a small shaky boat that cruised along the narrow creek. 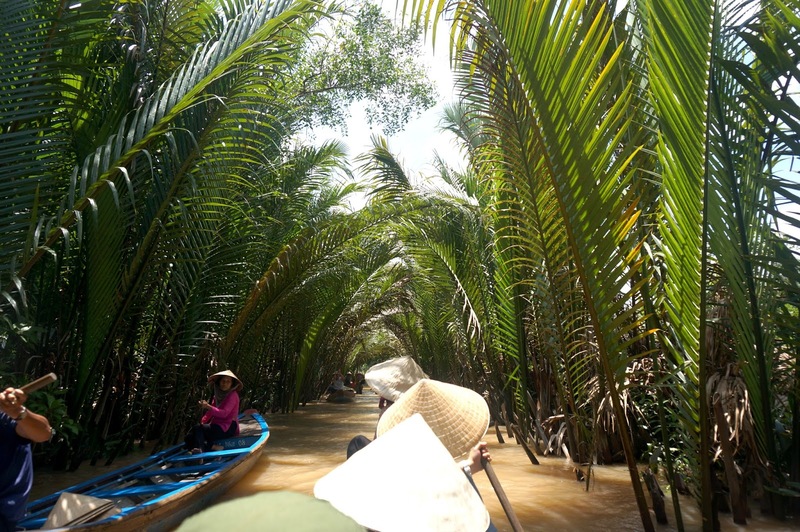 This seemed really popular to tourists as we encountered many along the maze-like river. 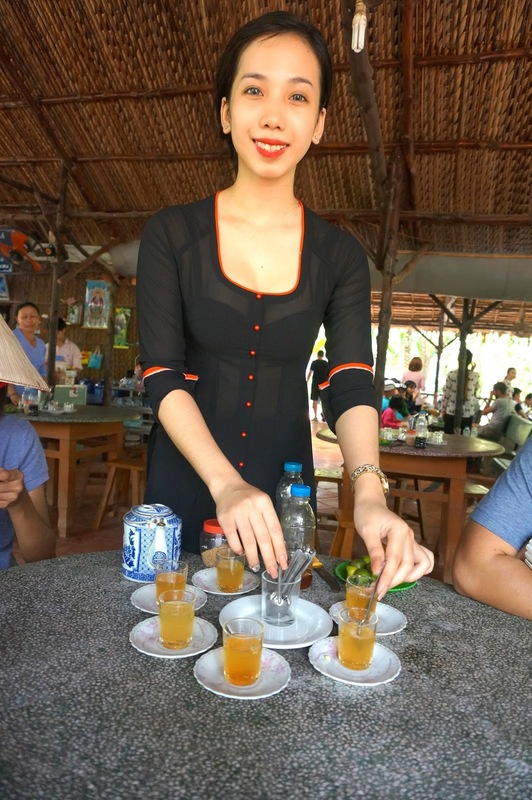 We were dropped off at a local bee farm and sampled a tea with honey. At the back of the farm we met another local friend, a python! 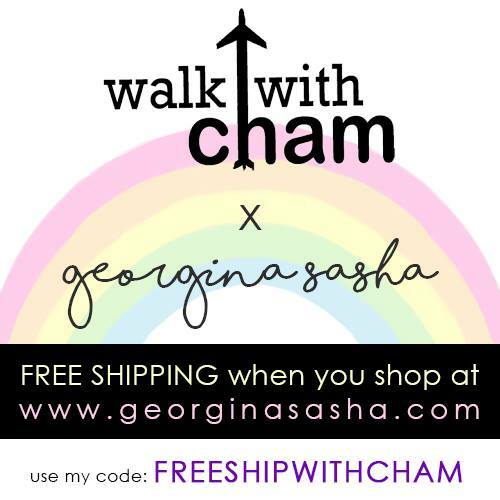 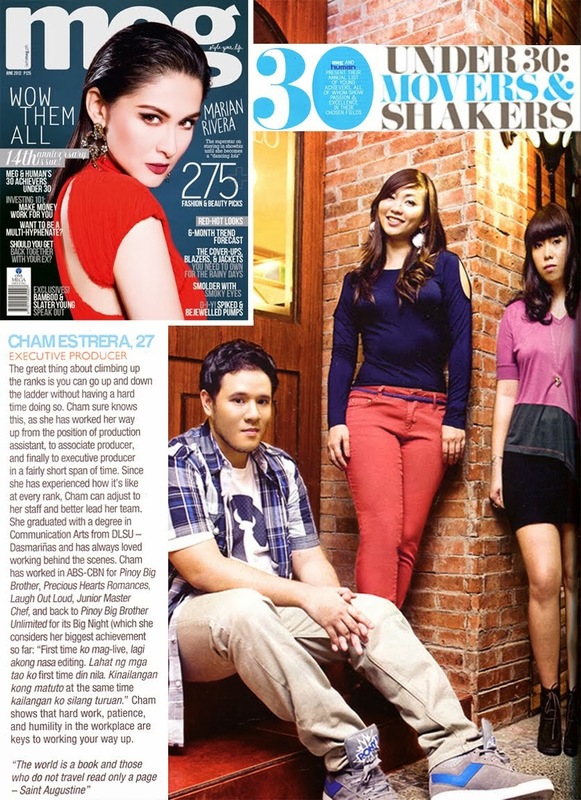 Shrieks! 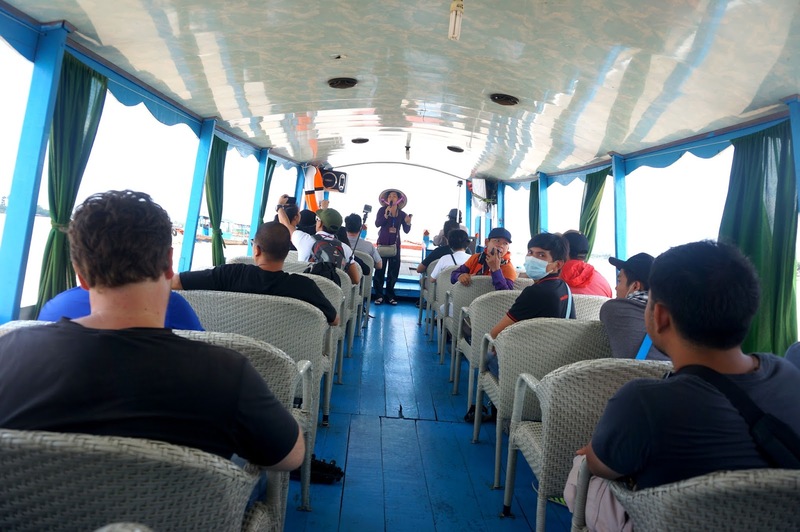 We again sailed going to another island called Turtle Island via a medium sized boat. We were able to satisfy our 'sweet tooth' when we tried the coconut candies at the coconut mill. 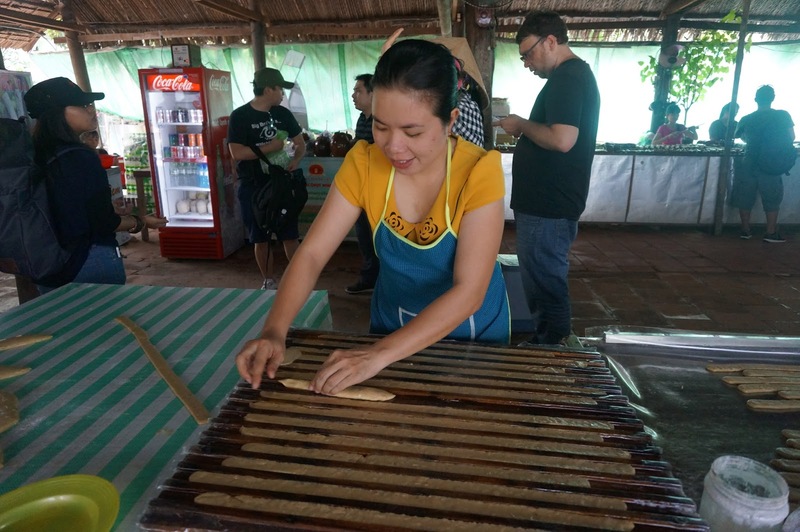 We also witnessed how these candies were manually made. 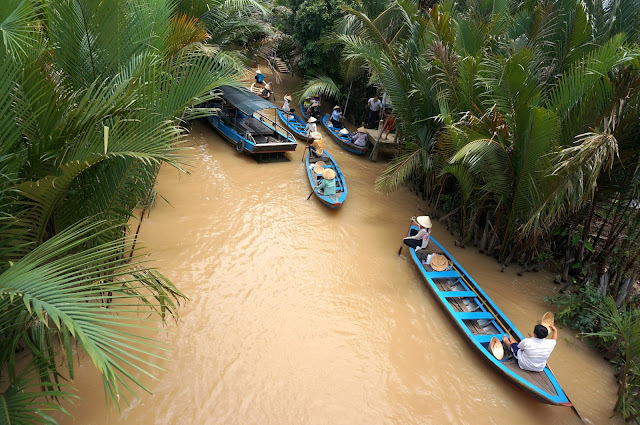 At the same area, all sorts of coconut delicacies were being sold and since I liked the taste of the candies, I bought different flavors for me to take home. 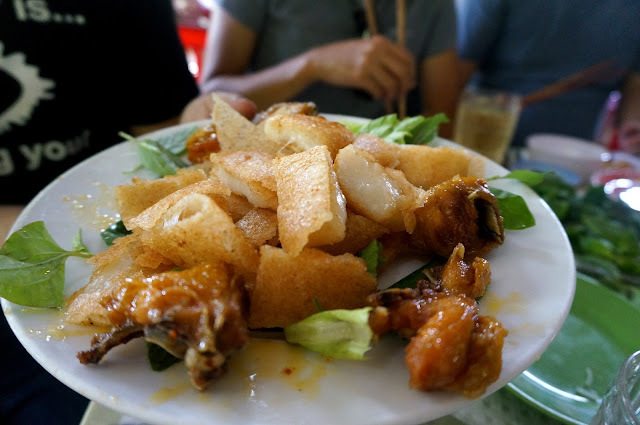 Our last stop was a hefty lunch at a local restaurant. 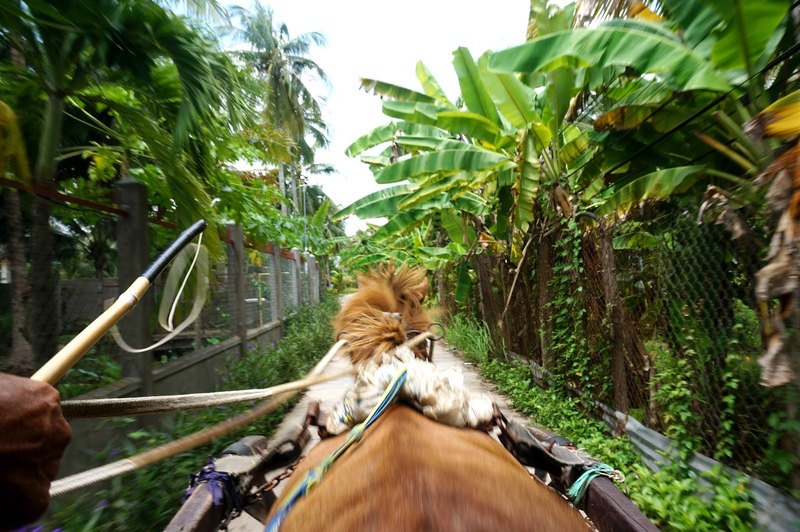 Going there, we were transported via a horse carriage while we got to see Nam Bo houses or traditional Southern Vietnamese Houses along the way. 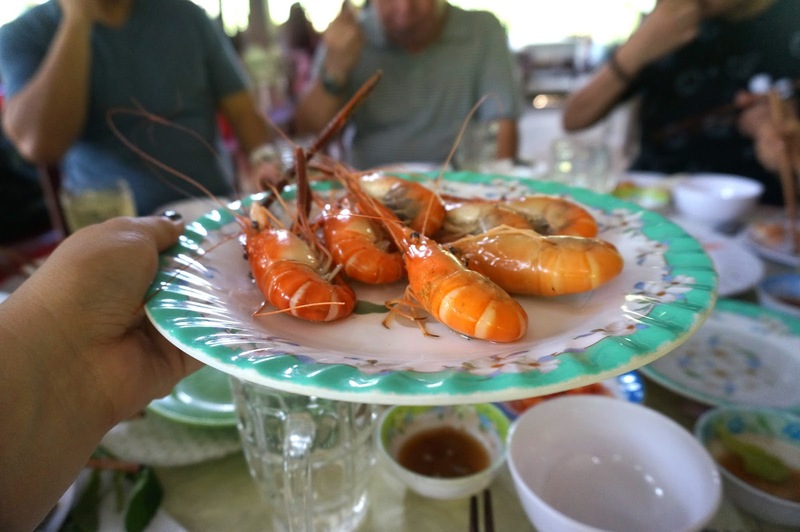 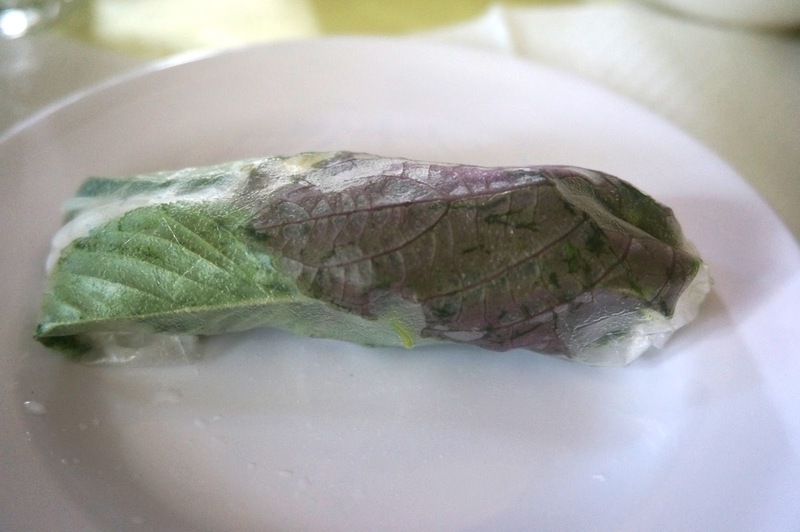 The restaurant was not at all extravagant, the house was simple and seemed old but the food was satisfying nonetheless. 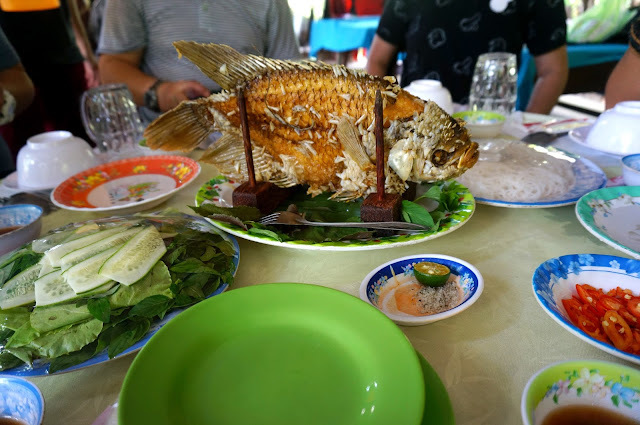 We tried a fried fish that we wrapped in a rice wrapper, coconut tree salad, sautéed prawns, peppered beef in hot pot, glazed chicken with sticky rice and a vegetable soup dish. 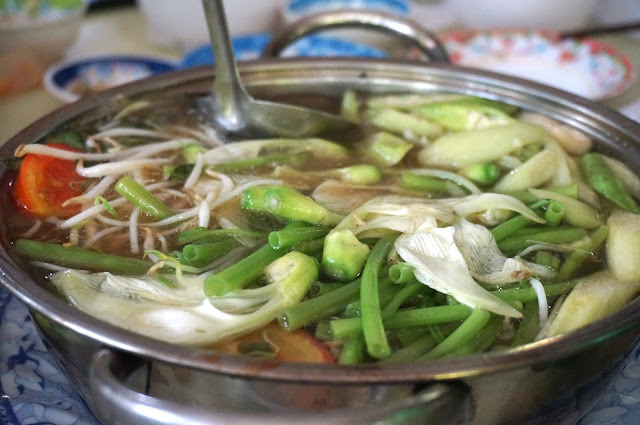 It was really filling! 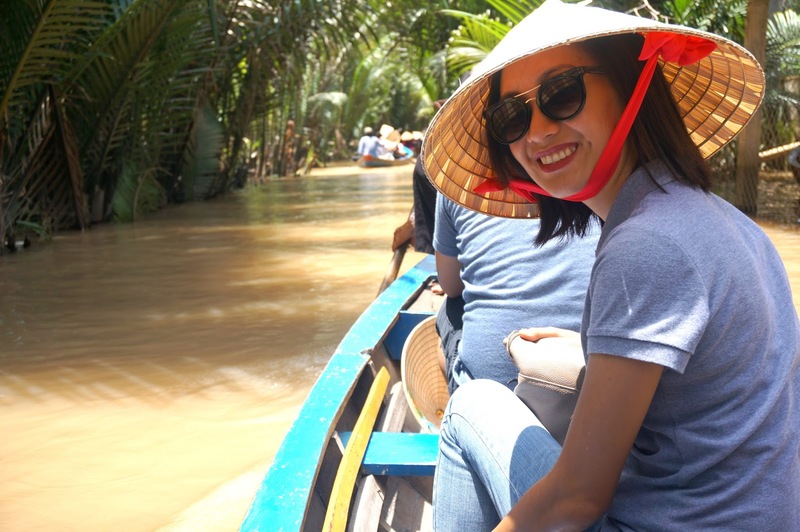 Such an educational, exhausting but fun day in Mekong Delta especially if you're with an ecstatic group.